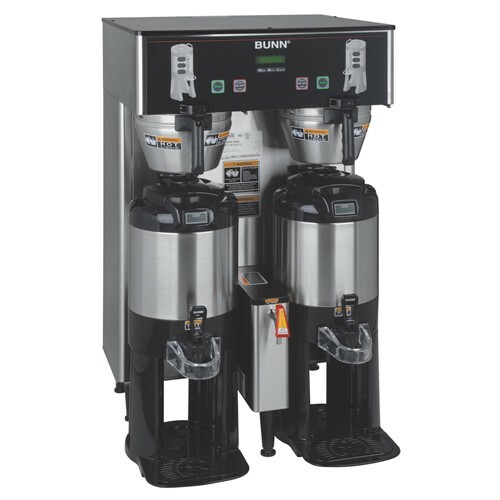 Instead of brewing pot after pot of coffee to satisfy peak demand, sometimes don't you wish you could just tap a keg of fresh brewed coffee? The BUNN BrewWise Dual TF DBC Commercial Coffee Maker is one Big Mama Jama. Capable of filling a bathtub with coffee in less than four hours. Just in case you need to fill a bathtub with coffee. Not that we do that around here, no sir, not recommended (it goes cold too fast!) Brew what you need when you need it with 1/2 gallon, 1 gallon, or 1.5 gallon batches.